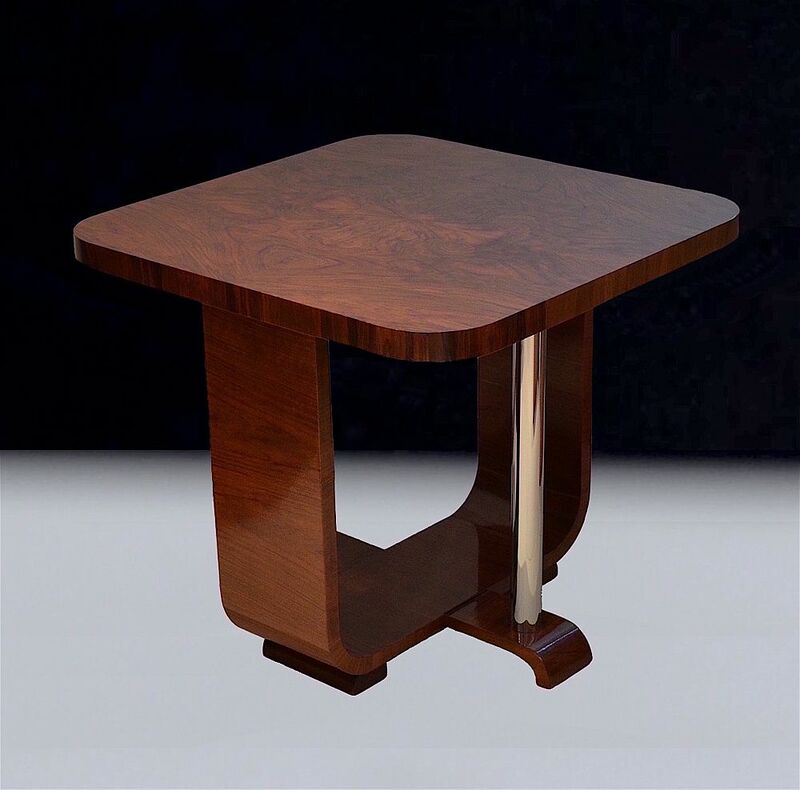 This fabulous table was made during the 1930s. The rounded square top is supported by a wide D shaped support running from one side to the other. 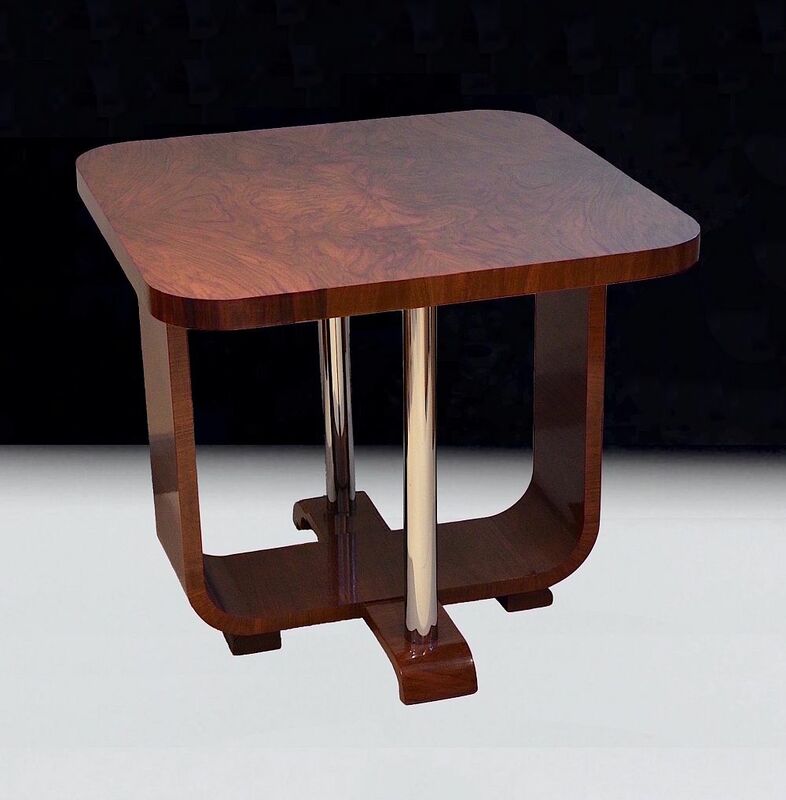 Underneath the D shaped support is the curved foot from each end of which rises a round chrome tube that forms the other supports for the table top. The bookend walnut veneer on the top of the table is just fabulous reflecting each other down the centre line. A really stylish table with good proportions that would be a wonderful addition to any room.